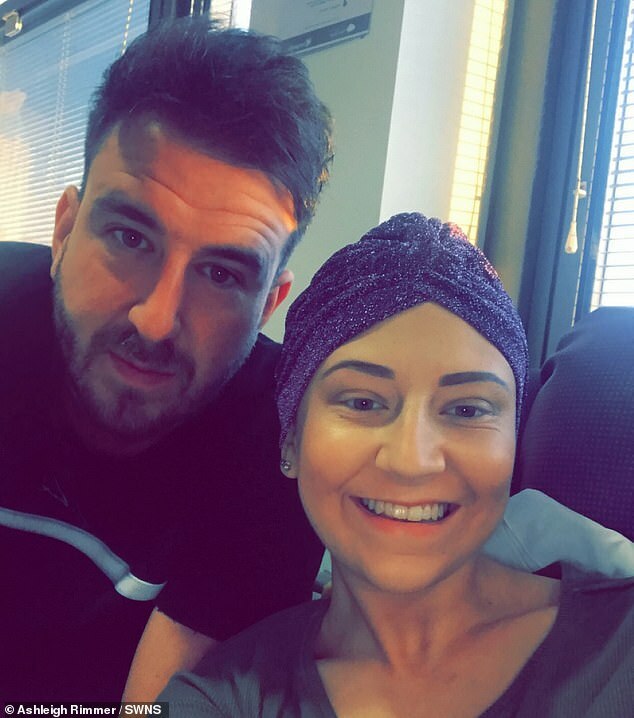 A 22-year-old who has chronicled her seven-month battle with cancer has revealed she is in remission in a heartwarming blog post. 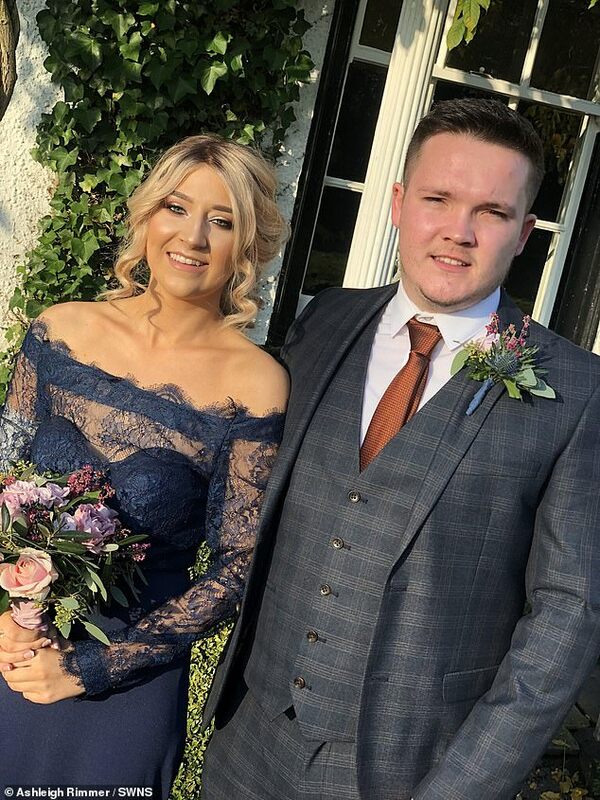 Ashleigh Rimmer, of Colne in Lancashire, was told last July she had a form of blood cancer called Non-Hodgkin lymphoma. And now, after ‘non-stop’ treatment, hospital appointments and anxious waits, Miss Rimmer has received the good news. In her last blog post following her appointment at the end of February, Miss Rimmer said: ‘I am seriously on cloud nine at the moment. ‘The celebrations have been mental and I haven’t had a chance to sit down and process what has happened until this very moment writing my blog. 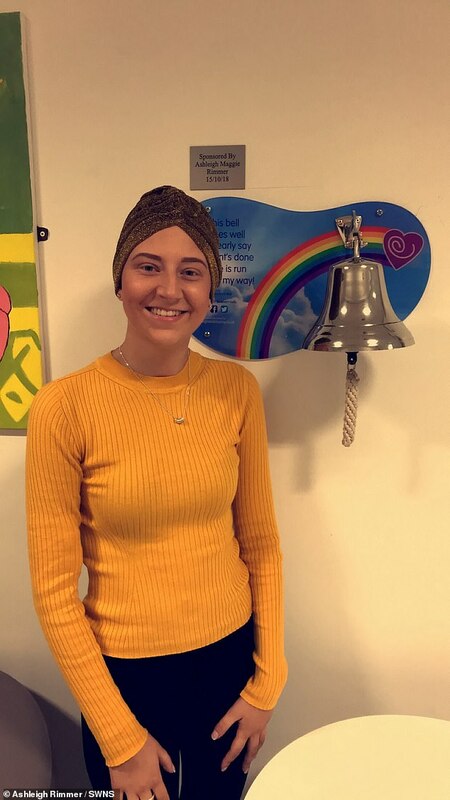 ‘I’m in remission, I did it, I beat cancer. My recovery is still long but I will continue to focus and take each day as it comes. ‘Slowly but surely I will get there. I’ve got so many exciting new chapters to come; going back to work and just genuinely living life to the full. 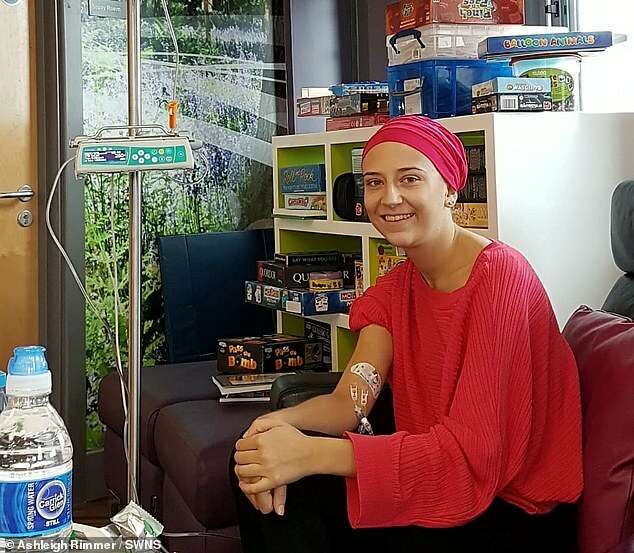 Miss Rimmer was diagnosed last July with Non-Hodgkin lymphoma, a form of blood cancer which strikes 13,500 people in the UK each year. Doctors initially thought she was suffering from asthma and so they gave her an inhaler. They then suggested it was hay fever because she started having an itch. It was only when she had an X-ray that ‘things started to get bad’ for Miss Rimmer, who was training to be a trainee nursing associate. Miss Rimmer said: ‘They had been looking at me thinking, ‘you’re a fit and healthy 21-year-old, it’ll be nothing’. It wasn’t nothing though, it was a tumour. 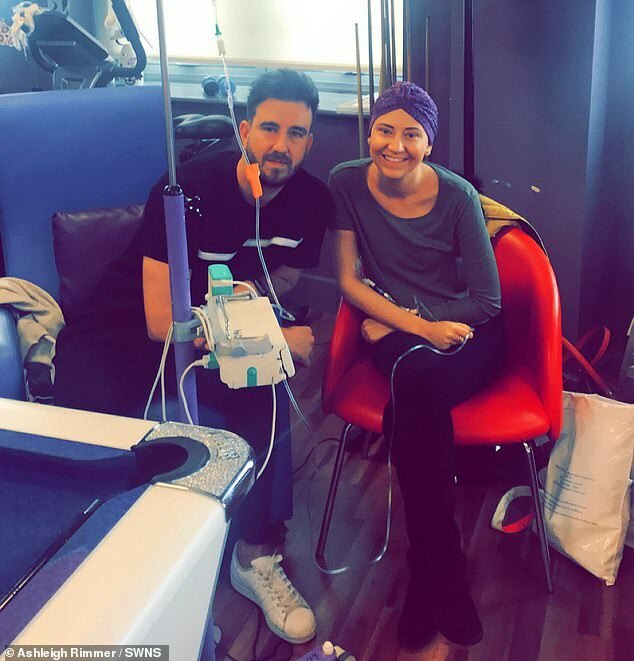 She revealed she ‘cried and cried’ when she was initially told in January there was no signs of lymphoma in a biopsy. ‘You feel like you’ve just been set free, finished school again for the school holidays or let out of prison,’ Miss Rimmer said. Miss Rimmer joked that was ‘only the beginning of the good news’, as her consultant then told her she could eat what she wants. The news she was cancer-free was confirmed eight weeks later in a follow-up appointment on February 28, which she was initially nervous about. Miss Rimmer said: ‘I had finally got a bit of my life back, a new life and I became to realise that it could all be taken away from me again. 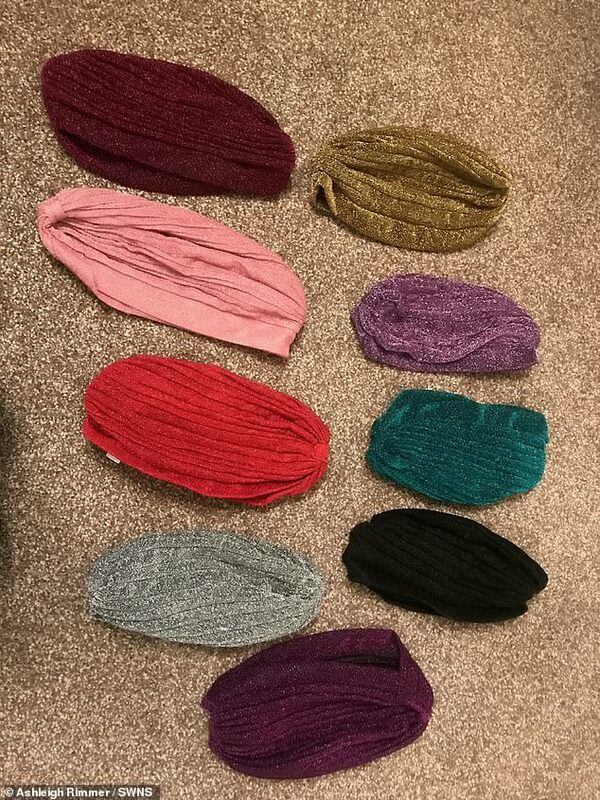 This I couldn’t deal with. But it proved not to be the case. 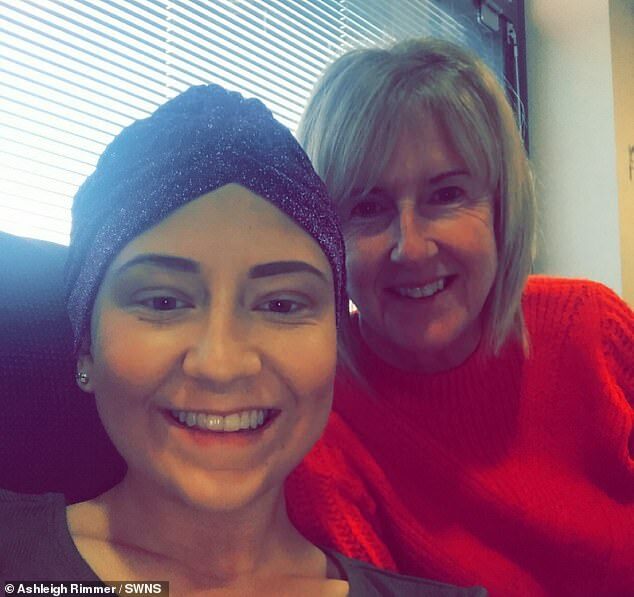 She added: ‘I got told the words I have been longing to hear for seven months, ‘it’s good news, you are in remission’. I couldn’t believe it. Miss Rimmer thanked her readers for their ‘continued support’, as she admitted their kind comments keep her ‘fighting’. 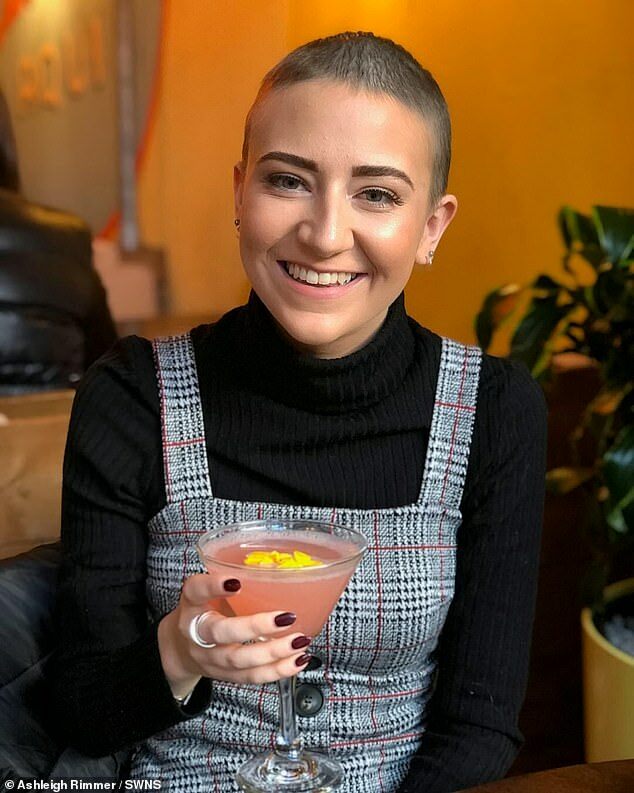 She shaved her hair last August after experiencing hair loss during her first cycle of chemotherapy and described it as her way of ‘taking back control’. Miss Rimmer then created a blog titled My Biggest Fight Yet (AMR) and in it revealed the heartbreak she suffered after losing her blonde locks. 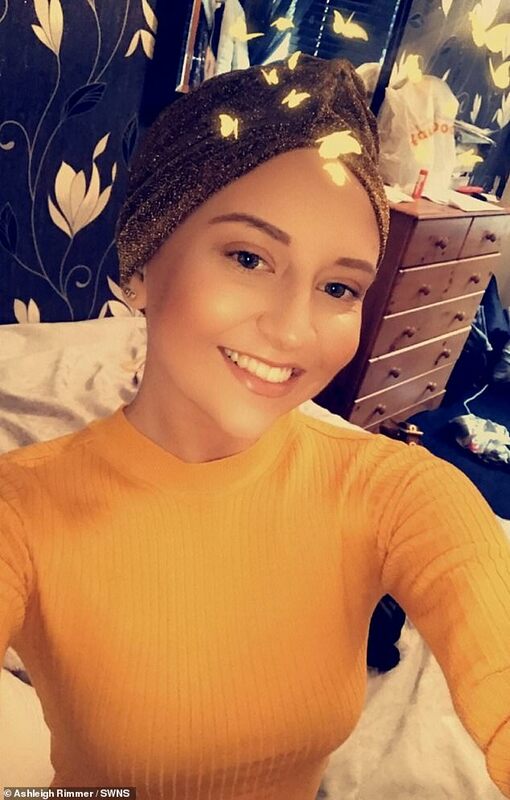 It also detailed how she purchased nine glitter turbans from eBay for £3.75 each, so that people didn’t instantly assume she had cancer. Miss Rimmer, who said the diagnosis brought her ‘whole world crashing down’, said: ‘It was at this moment I felt I got my control back. ‘It used to bother me at first, people looking at me, but I’ve got used to it. If somebody gives me a strange smile in the street I just smile back. ‘If somebody comes to the house I just whip off my hat so they can see my bald head and then it won’t shock them again. Her blog has always been brimming with uplifting warmth and light-hearted humour and charts the ups and downs of the disease. Miss Rimmer said: ‘I hadn’t written a word in five years. I wanted to tell people I had cancer but I didn’t want to have to keep telling people I had cancer. ‘It is scary but you’ve got to try to see the funny side of things. If people came round and were crying all the time that wouldn’t help. ‘I don’t want sympathy smiles, I want people to smile and laugh – I am now living by the motto You Only Live Once (YOLO). To view Miss Rimmer’s blog, visit https://amr-myfight.com/. Non-Hodgkin Lymphoma (NHL) is a type of cancer that starts in white blood cells called lymphocytes. It affects the lymph system, which is involved in fighting infections and helping fluid move through the body. NHL can start anywhere where lymph tissue is found, such as lymph nodes, spleen, bone marrow, tonsils and the digestive tract. It differs from Hodgkin’s lymphoma due to the type of immune cells it affects. NHL is one of the most common types of cancers in the US, making up four per cent of all forms of the disease. It is the sixth most common cancer in the UK. NHL is grouped depending on how quickly it grows and spreads. Indolent NHL grows slowly and may not require treating straight away. Aggressive NHL spreads quickly and requires immediate treatment. Regardless of how quickly it grows, all NHLs can spread to other parts of the lymph system if untreated. It can also spread to other parts of the body, such as the liver or brain. Anyone can develop NHL, however, most cases occur in people in their 60s or older. For unclear reasons, it is also more common in men. Some studies have suggested that exposure to certain weedkillers and pesticides may increase the risk, as do chemotherapy drugs and some arthritis medications. More research is required to determine this. Patients treated with radiotherapy for other cancers are slightly more at risk of NHL in later life. Those with a weak immune system, such as HIV patients or people who have recently had an organ transplant, are also more susceptible. A family history of NHL and being overweight are also linked to the condition. Although rare, some women with breast implants develop a type of lymphoma in their breasts, which seems to be more common if the implants have a rough texture. NHL treatment depends on how advanced a patient’s disease is but might include chemo, radiotherapy, a stem cell transplant or, in rare cases, surgery.